For all the technology geeks, today, the letter ‘i’ holds great significance and importance. The iPhone and iPad fever has infected many and people are mad and crazy about their gadget. People capture loads of pictures and videos from their iPhone and iPad. We all know that when it comes to sync everything on your PC iTunes is an excellent tool for managing the content on your iOS device from your PC. But there are some problems that are associated with iTunes like, it can’t sync contacts, convert audio and video files to an iOS format. This issue was addressed by many companies and they launched some resources which will help you to transfer your data between iOS device and your PC. Wondershare.com addressed to this problem beautifully by introducing its well known and efficient program i.e. “MobileGo for iOS”. 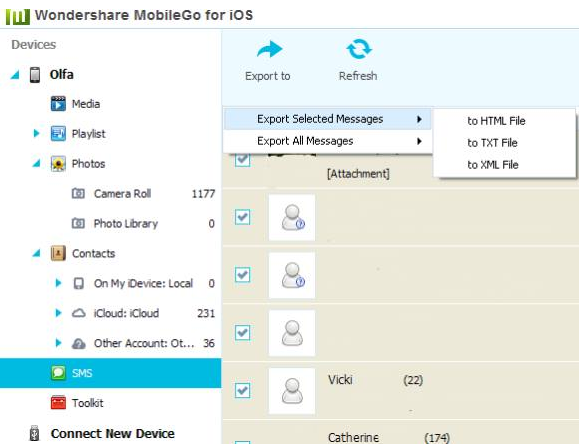 MobileGo for iOS by Wondershare is a best known file management program exclusively for Windows that helps us to transfer our media files from any iOS device to your PC. Today, the concept of using PC looks very old fashioned but in reality still many people love using it and for all those MobileGo for iOS bridges the gap between your PC and iOS device in the most beautiful manner. MobileGo has the ability to copy photo albums to and from your PC & iOS device. It can load your iOS device with music and video. 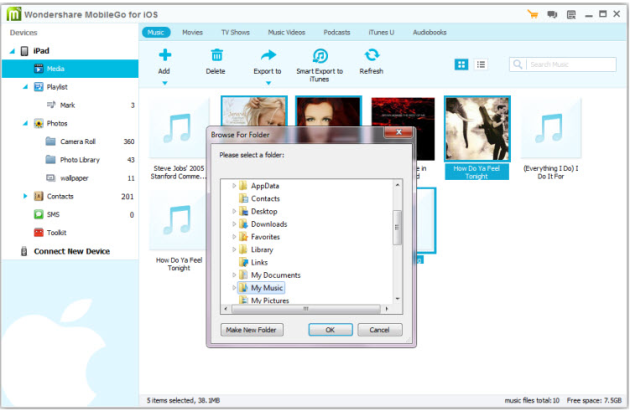 Complete transfer of songs, videos, playlists, iTunes U, Podcasts is possible. 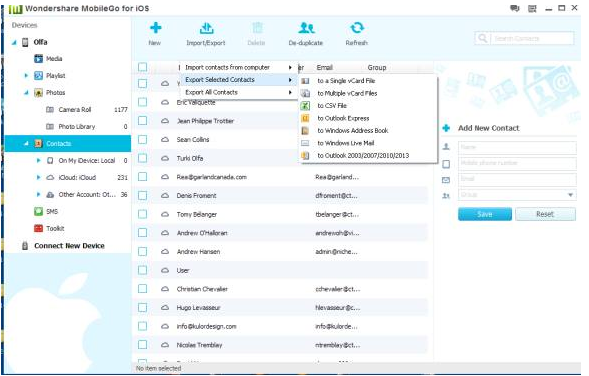 It can import, export, remove duplicates & sync your contacts easily. This tool is very much compatible with all other iDevices and iApps. 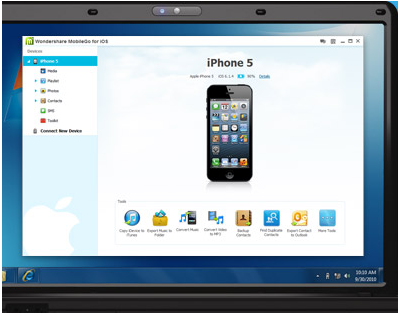 MobileGo has an efficient ability to detect the moment any iDevice is connected to your PC and displays it in a menu on the left side. It has a very neat and clean interface. 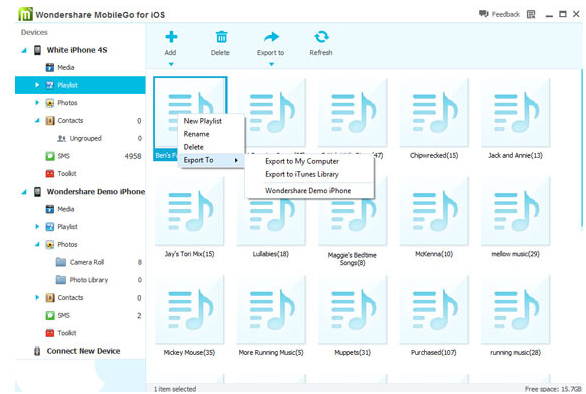 You can also perform some additional tasks like you can copy iDevice to iTunes, export Music to PC, convert Video to MP3, etc. It is great to know for all of you that this file management tool is available initially for a trial version which is absolutely free. If you are satisfied with its services then you can purchase the full version in just $40. In the start of this review we discussed about the limitations and problems associated with iTunes. But now I am pretty much sure that I have been successful in providing you with the best solution for all these problems. 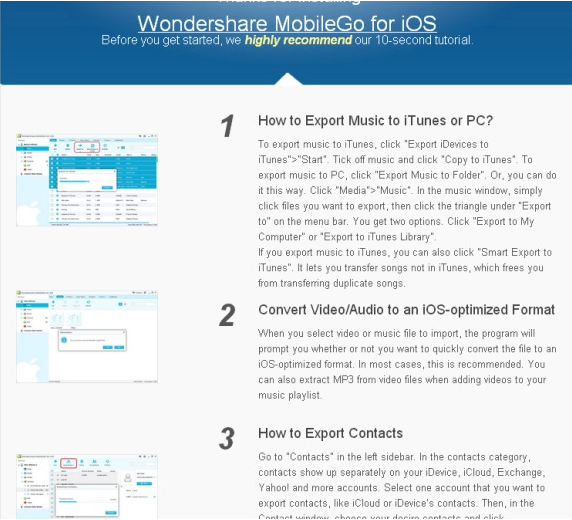 I assure and guarantee that you cannot find a much better tool than MobileGo for iOS by Wondershare.com. So what are you waiting for??? Capture your best moments of life and secure them with safe hands.